I believe the first question I asked in my last newsletter was – Where does the time go? Well, five months have passed, and I still do not know the answer to that question. In fact, I have a new question – Where did the Alaska summer of 2014 go?? To bring you up-to-date on what we have done since spring, and what we are doing as an association, we had our biannual spring General Membership Meeting on May 12, 2014 in Fairbanks during the 2014 APOA Annual Crime Conference. On Saturday, August 9, we had our annual WPA Picnic in Wasilla at Rae Arno’s Wildwood Farm. It was a “class reunion” of sorts. We had several members who have retired from law enforcement, and some who had moved out of state who were able to be in Alaska, join us, including past Presidents Julia Grimes and Dyanne Brown, and Cindy Moore and others. You can view some photos from our picnic in our PHOTO GALLERY. What started out as one of our signature rainy August days gave way to a very pleasant afternoon. It is always great to see old friends and new ones at our picnics and meetings. Speaking of retired WPA members, we can now add to that group Shirley Coté, a past president and founder of the Women Police of Alaska in 1997. Shirley retired from her most recent position as Director of the State of Alaska Alcoholic Beverage Control Board in May 2014 after 33 years in law enforcement. Shirley’s heralded law enforcement career included 2 years as a deputy sheriff with the Meridian Township Police in Michigan, 20 years with the Anchorage Police Department, where she was promoted to the level of Captain, and over 6 years as Chief of Police of the Soldotna (Alaska) Police Department. She spent about 6 years as a consultant and trainer before being appointed Director of the ABC Board by then Governor Sarah Palin in January of 2009. 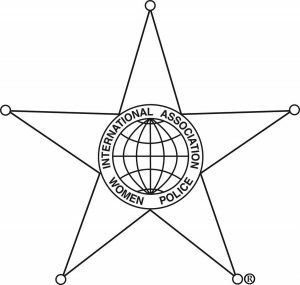 Shirley was also instrumental in bringing the worldwide conference for the International Association of Women Police (IAWP) to Anchorage in 1985 and 1998 (see our PHOTO GALLERY – no, really, see our PHOTO GALLERY – there are some really swell pictures of Shirley there!). Shirley has already said she is as busy in retirement as she was while working, which is good, because that means we will still be able to see her around town. Congratulations, Shirley, on this next exciting chapter of your life! In other news, we have recently received word from the UAA Justice Center and the Alaska State Troopers, our partners, that we will have a 6th Annual Women in Law Enforcement Recruitment Fair on Wednesday, October 22nd, 2014. The LE fair will be from 9:00 AM to 3 PM at the UAA Student Union (near the bookstore). Parking is free that day. If you know anyone, male or female, interested in an exciting career in law enforcement, send them our way. Photos of recruitment fairs past can be viewed in our Photo GALLERY and at our POLICE RECRUITING FAIR link. That’s it for now. Our next meeting will be in December during the APSC Executive Conference in Anchorage during the first week of December 2014. Check back to this website for meeting details. Have a wonderful rest of 2014 and Merry Christmas if I don’t see you before then!